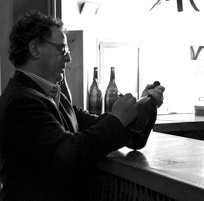 My passion for the land brought me from Varese to Castagneto after completing my university studies. I became fascinated by a product like wine which involves technical as well as cultural aspects. 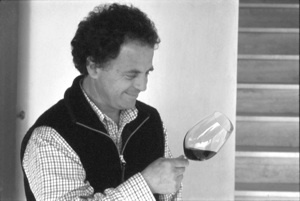 Instinct told me that I should aspire to the highest level of achievement in this field and the moment I met Attilio Pagli, I knew that I was destined to become a wine grower. After what was a very difficult beginning, with various problems stemming from leasing property and so on, I bought the best terrain available and I started building a cellar. That was in 1988. I planted my first experimental vineyard in 1991 (15 hectares) with Cabernet Sauvignon and Merlot, two grape varieties that show great expression and character in the area of Bolgheri, and Sangiovese that is my favourite variety. At the same time I also decided to experiment with the potential for Syrah. In 1997 I purchased “Castagni” and “Poderini” two vineyards which bordered my property, thus consolidating the estate. In the last ten years the estate reached its definitive size, 30 hectares, and I am about to plant the last 5 hectares of them.